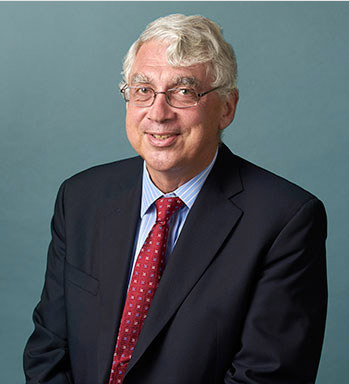 As a result of my proximity to Vancouver, BC, I have coordinated and referred many clients to Sam Hyman. Please contact Sam for questions related to DUI and the Canadian border. Many citizens of Washington and other states contact me daily for help entering Canada. Most need the services of an Immigration Attorney in the Province for which they seek entry. For those seeking entry to BC, I recommend Mr. Sam Hyman. However, before his services are required it is important to make sure that you are even eligible which requires an investigation into your past. Entry to Canada will be less complicated and should not be an issue IF YOU VACATE your conviction. However, the rules prohibit vacating a DUI conviction, and you may not vacate more than 1 misdemeanor in your life. While relatively straightforward, the services of a knowledgeable lawyer, specifically a DUI defense lawyer, will provide the greatest chance of successful vacation of the crime. Washington law permits the vacation of some misdemeanor or gross misdemeanor convictions. However, this is only If you meet the criteria, a Judge uses its discretion, and rules in your favor and orders the conviction vacated. If so, the vacation of a conviction releases you from all penalties and disabilities resulting from the offense that you were convicted of. Once a conviction is vacated, the fact that you have been convicted of the offense shall not be included in your criminal history for purposes of determining a sentence in any subsequent conviction. A further benefit of a vacation is that for all purposes, including responding to questions on employment or housing applications, a person whose conviction has been vacated may state that he or she “has never been convicted of that crime.” Vacation of a conviction, however, does not affect or prevent use of the conviction in a later criminal prosecution. This is because there is a record of the action but that record will only used against you if a new criminal conviction has occurred and the prior conviction is one that can be used to enhance the crime. A vacation of a conviction does not automatically restore your right to possess a firearm. When the charge is DUI but the conviction was for a lesser charge there is a excellent chance you will be eligible for a vacation of the conviction and eligibility for Canada becomes much less complicated and expensive. For those charged DUI in Whatcom County, Skagit County, Island County, and even San Juan County Jonathan Rands can help vacate your conviction. The criteria for doing so, however is strict. For purposes of a DUI related conviction, a vacation is NOT possible if you are seeking to vacate an actual DUI conviction or if the charge was previously DUI and it was reduced to an offense that is a prior offense and you have had another alcohol or drug violation within 10 years of the date of arrest for the prior offense. This last criteria is tricky because of the way the law is written, but what it means is you cannot vacate a DUI reduced conviction (Reckless Driving, Reckless Endangerment, Negligent Driving, First Degree) if you had an alcohol or drug violation within 10 years. An alcohol violation has been interpreted to mean a probation violation, but would also include an infraction for “Open Container,” or another alcohol related criminal charge. If your criminal charge meets the criteria above, and if your charge and conviction was entered in Whatcom County, Skagit County, Island County, and even San Juan County and you wish to vacate your record for any reason contact Jonathan Rands. In the event you seek entry into Canada and you do not have a single conviction to deal with, consider contacting Mr. Sam Hyman for advice but before you do, a review of the information below will provide a roadmap as well as provide you with a perspective of how complicated entry can be. The consequence of a DUI charge, or a reduction thereof, that must be considered is this: Will it result in the defendant's future inadmissibility into Canada? This question is answered and determined by Canada's definition of a crime as created by Parliament, regardless of the status of the result in Washington or any other US state. Committed an act that is an offense in the place where committed and if committed in Canada would be an offense under the Act of Parliament and punishable by a maximum term of imprisonment of at least 10 years, as an act of Serious Criminality (Hybrid Offense). 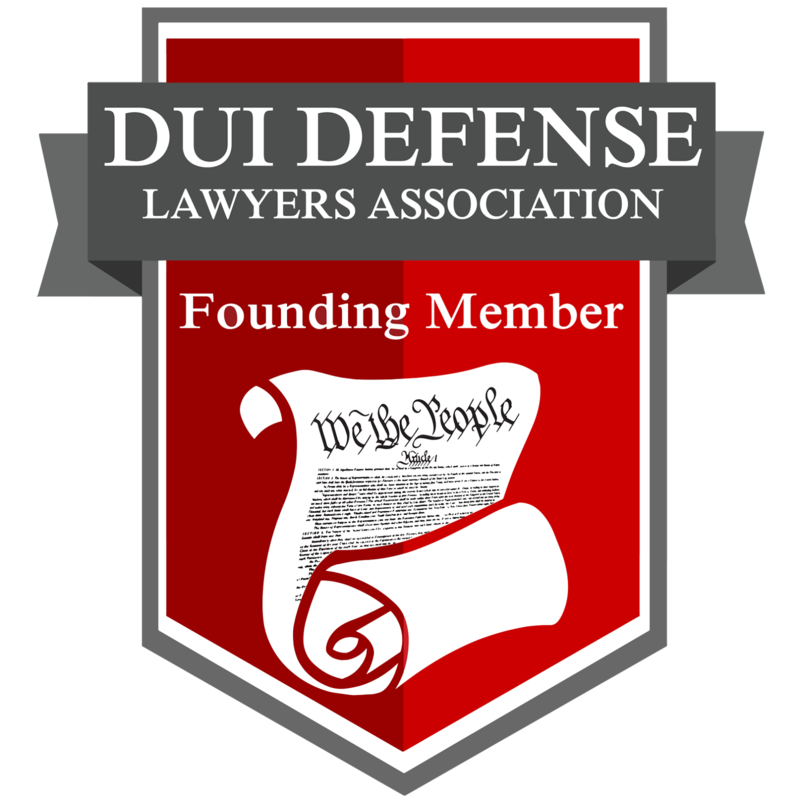 The majority of cases argued by a DUI defense attorney fall under the categories described in (2) and (3). The determination as to whether a person has committed an illegal act under (3) is made upon a balance of probabilities. It must be clearly understood that there are two levels of criminal law in Canada. There are offenses created under an Act of Parliament by the federal government and those created at the provincial level, which are not created pursuant to an Act of Parliament. Canadian inadmissibility stems only from conviction if the foreign conviction is equivalent to the crime enacted under Parliament and within certain sentences, with respect to imprisonment. This, however, is further complicated by the fact that Canada has three classes of convictions: Summary Conviction Offense, Indictable Offense, and Hybrid Offense. Summary Conviction is an offense where the punishment upon conviction may not exceed $2,000.00 and six months imprisonment, or both. Convictions under these statutes, or the international equivalent, will not exclude you from Canada. Many statutory offenses created by individual provinces are Summary Conviction Offenses and, as such, are not Acts of Parliament; therefore, these convictions do not result in inadmissibility. An Indictable Offense is a criminal offense where punishment may exceed that of a Summary Conviction, in terms of a fine as well as imprisonment up to and including life. The maximum punishments for an Indictable Offense are usually defined within the criminal statute. For example, Murder in the First Degree is an Indictable Offense and punishable by life imprisonment. Under the Refugee Act, a person is excludable because this is a conviction where the minimum prison sentence is at least 10 years. It is irrelevant at this point if the creation of the statute was pursuant to an Act of Parliament. If the statue was created under federal authority, then the person is inadmissible until rehabilitated. A Hybrid Offense is one where the prosecuting authority (called the Crown) may choose to prosecute "Summarily" or by Indictment. Generally speaking, the alleged facts of the case are what determine the method of prosecution. Most crimes in Canada are Hybrid Offenses. Criminal Mischief: Anyone who willfully destroys or damages property, renders property dangerous, useless, inoperative, or ineffective; obstructs, interrupts or interferes with the lawful use, enjoyment or operation of property; or obstructs, interrupts or interferes with any person in the lawful use, enjoyment or operation of property. This crime describes at least two Washington State offenses. Impaired Driving: Anyone who operates a motor vehicle, or vessel; or operates, or assists in the operation of an aircraft or railway equipment; or has care or control of a motor vehicle, vessel, aircraft or railway equipment, whether it is in motion or not, while the person's ability to operate the vehicle, vessel, aircraft, or railway equipment is impaired by alcohol or a drug; or having consumed alcohol in such a quantity that the concentration in the person's blood exceeds eighty milligrams of alcohol in one hundred milliliters of blood. As one can see, this Canadian statute covers numerous alcohol-related offenses with equivalent charges in Washington, such as DUI, Physical Control, and Minor Operating a Vehicle After Consuming Alcohol. The mandatory minimum punishment for a first offense of Impaired Driving with a Summary Conviction is a fine of no less than $600.00. For a second offense, the punishment is no less than 14 days imprisonment. For each subsequent offense, the penalty is no less than 90 days but no more than six months. If prosecuted by way of indictment, punishment shall be for imprisonment of no more than five years. Recently, however, the punishment for an impaired driving arrest has recently been modified by the legislature. Considering a first offense DUI conviction for Canadian equivalency and entry and admissibility purposes, offenses that may be prosecuted summarily or by way of indictment are deemed to be Indictable Offense, even if actually prosecuted Summarily. While a first offense DUI conviction is subject to one year in jail and a $5,000.00 fine, which appears to indicate that a conviction for a first offense DUI in Washington does not make you inadmissible, but because you a foreign national you are inadmissible for having been convicted of an offense outside of Canada due to it being an indictable offense created under an Act of Parliament. If there is a choice of prosecution, an Indictable Offense is the presumed method of prosecution and the person is not allowed entry to Canada. By comparison, a permanent resident of Canada who is convicted of a foreign DUI is saved from exclusion under the Immigration and Refugee Act because a permanent resident is excludable only when the offense is punishable for at least 10 years. In contrast, foreign nationals are excludable due to the simple fact that a criminal conviction is deemed an Indictable Offense. And by a combination of the two methods. Keep in mind that equivalency needs to be determined only in the event of a conviction. This determination can be made at the time of structuring and entering a plea or an alternative resolution, so that you can safely overcome inadmissibility at the time of a plea - a result which does not create a criminal conviction under the Immigration and Refugee Act. Everyone commits an offense who operates: A motor vehicle in a manner that is dangerous to the public, having regard to all the circumstances, including the nature, condition and use of the place at which the motor vehicle is being operated and the amount of traffic that at the time is or might reasonably be expected to be at that place. This crime covers almost every instance of a motor vehicle, aircraft, railways, or water vessels or things towed by such vessels, including water skis and surfboards. The statute is an Indictable Offense, punishable with up to five years imprisonment. As a result, any foreign conviction that equates to this crime renders an individual excludable in the same manner that a DUI renders an individual excludable. The Canadian Criminal Code must be reviewed carefully for every possible DUI alternative when admissibility is at issue. Technically speaking, however, in most cases the crimes of DUI, Negligent Driving in the First and Second Degree, and Reckless Endangerment will all equate to this general Canadian statue rendering a person inadmissible. In Alberto Lei v. Solicitor General of Canada, the Canadian Supreme Court ruled on the equivalency of Washington's Reckless Driving statute as compared to the Canadian Dangerous Operation statute. Section 249 of the Criminal Code of Canada is directed at the operation of a motor vehicle in a manner which endangers the life or safety of others. The section does not, in my view, apply where the operation of the vehicle endangers property only. Section 46.61.500 of the Washington Statute clearly covers the operation of a vehicle which endangers property only. The dangerous driving pursuant to s.429 of the Criminal Code of Canada must occur in a public place. The applicability of s.46.61.500 of the Washington Statute is not limited to a public place. [This is because], a comparison of the wording of the two statutes leads to the conclusion that the Canadian Statute is narrower than its American counterpart. Thus, it is necessary for the adjudicator to go beyond the wording of the statue in order to determine whether the essential ingredients of the offense in Canada had been proven in the foreign proceedings. This could only be accomplished by obtaining evidence of the circumstances which resulted in the charge in the State of Washington. Without "external" evidence, the adjudicator could not determine that the essential elements of Section 249 of the Criminal Code of Canada had been proven in the Washington State proceedings. As a result, the crime of Reckless Driving if structured properly should not exclude you from Canada because it is not a crime in Canada, unless there is extra information to make the crime equivalent. What are Convictions for Inadmissibility Purposes? To Canadian authorities, a conviction is a finding of guilt by a competent authority (a court with jurisdiction but DOL is also used), or a plea of guilty to an offense. A conviction, however, does not exist when it is set aside on appeal (or stay) if there is an absolute or conditional discharge under the Canadian Criminal Code, or if a person is granted a pardon and such pardon is equivalent to a Canadian pardon. A disposition is actually a conviction when determined by the Canadian scheme of dispositions, which are numerous and equally confusing. When there is a conviction and there is no minimum punishment, or where the maximum punishment is less than 14 years, the court discharges the defendant completely and immediately through Absolute Discharge. After an Absolute Discharge is entered into the record of proceedings, the defendant is treated as not convicted. With Conditional Discharge, there is no minimum punishment or the maximum punishment is less than 14 years. The court may discharge the defendant completely or after fulfillment of conditions imposed by the court. There is no clear Washington State equivalent for a Conditional Discharge. While a Deferred Sentence is very close in appearance to a Conditional Discharge, the Deferred Sentence actually causes a conviction, whereas an Absolute or Conditional Discharge deems the person as never convicted; in fact, there is no entry of a guilty plea with an Absolute or Conditional Discharge like there is for a Deferred Sentence. Consider the case of a Washington DUI that is reduced to Reckless Driving with a deferred sentence. One may argue that Reckless Driving is not an equivalent crime and even if it was, there is no minimum sentence, so the deferred sentence operates as a Conditional Discharge because the ultimate finding is a dismissal. However, due to the existence of a conviction during the period of the deferral, it is recorded as a conviction, unlike the Canadian process where the conditions are usually fulfilled before any conviction is entered. In fact, usually a person is formally charged and fulfills various terms or conditions, or both, during the pre-trial stage of proceedings, before the discharge is entered. The procedural difference here is critical and makes all the difference in the world for admissibility purposes. Foreign Pardon is not automatically equivalent and must be examined carefully. Whereas a foreign pardon may be motivated by considerations other than those deemed valuable by Canada, a Canadian pardon completely erases the conviction. A foreign pardon will not always render a foreign national admissible to Canada. The foreign legislation under which the pardon is issued must be carefully examined. It is important to determine if the effect of the pardon is to erase a conviction, as distinct from merely recognizing that a person's rehabilitation has taken place. As with the equivalency test applied to foreign convictions, one must assess whether the issuing country's legal system is based on similar foundations as Canada with comparable values. Some American jurisdictions automatically pardon eligible individuals without requiring an application in specific situations. Canadian authorities, and courts, are not bound by a pardon if there is an absence of evidence regarding the motivating considerations that led the foreign state to grant the pardon. Regardless of its equivalency to a Canadian pardon, a pardon issued by a foreign state in recognition of a foreign national's rehabilitation is helpful evidence, and the individual should produce a copy of it. A Foreign Disposition is considered a conviction for admissibility purposes when there is a suspended sentence, a suspended sentence with a fine, imprisonment with or without parole, an unsuccessful appeal of a criminal conviction, or conviction(s) in abstentia. Since U.S. convictions vary from state to state in terminology and effect, it is up to Canadian Immigration and Canadian Border Services Agency officials to interpret the most common terms to determine a conviction under Canadian law. For the purposes of Washington State lawyers, a deferred sentence equates to a Canadian conviction by virtue of its equality to a suspended sentence in Canada. A Deferred Prosecution is not a conviction, as it translates to a deferral, which means that no trial has taken place and therefore equivalent to a Canadian stay. Although this is deemed not to be a conviction, a prudent lawyer will advise the client to obtain a certified copy of the Deferred Prosecution Order to carry during times of travel. A Deferral of Judgment is not a conviction because the conditions imposed in the deferral, if fulfilled, render the final judgment as not guilty. Thus, a Stipulated Order of Continuance (SOC) should not be a conviction rendering one inadmissible, and therefore is a better alternative to a deferred sentence. An Alford Plea, or any plea similar to Nolo contendre, or "I will not contest it", is a conviction. In contrast, Nolle prosequi is any statement, plea, or oral assertion by the prosecuting authority that they will no longer prosecute, otherwise known as a dismissal or a "Stay of criminal proceedings;" a Nolle prosequiis not a conviction for any purpose. As mentioned above, a voluntary dismissal by Washington State or City Prosecutor is likely an equivalent to non-conviction in Canada. A Sealed record is not evidence of inadmissibility, if it is sealed because the conviction was entered when the defendant was a minor. A sealed record for other purposes may render the person inadmissible, if it was sealed by way of agreement between the prosecuting authority and convicted individual. Finally, a record that is Expunged is not a conviction, as Canada defines this as to strike out; obliterate; mark for deletion; deemed to have never occurred. In some instances a person will report to the border and is either unaware of their inadmissibility, or they simply want to "roll the dice." If a person wants to travel to Canada before rehabilitating or research their inadmissibility they may be able to gain entry by way of a application for a Temporary Resident Permit (TRP). This Temporary Permit can be issued at the border at major points of entry, leaving the U.S. and simply hoping to be granted this permit and entry into Canada is risky. In the majority of situations where the person is clearly ineligible, issuance of the permit is not granted and deportation occurs. Therefore, taking a "let's roll the dice" approach to entry is foolish and risky, especially if entry is for a prepaid trip. If a person is issued a Temporary Resident Permit the permit allows entry for up to six months. If a TRP application is not made at the border, TRP application should be made through a consulate. The application requires a non-refundable fee of $200.00 to $1,000.00 CDN. Processing time will vary by the resources and load at any particular consulate. Processing time is not quick and one should expect at least six months or more. Why Do I Need a Canadian Immigration Lawyer? 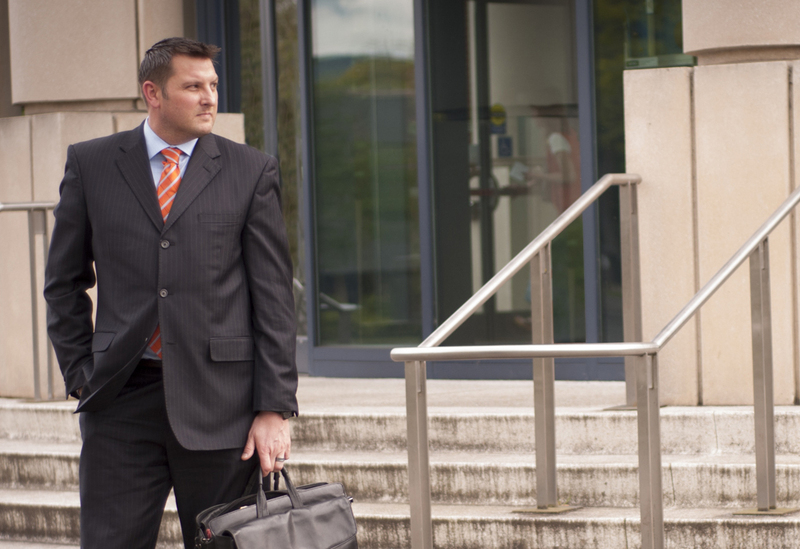 Jonathan Rands is licensed to practice in the State of Washington Courts, Municipal Courts, and Federal Court. Jonathan is NOT licensed to practice in any Canadian Province. Jonathan's practice is primarily dedicated to and focused upon Washington State DUI Defense, as well as Federal DUI Defense law. Jonathan is NOT Canadian immigration counsel and the information contained within this website concerning Immigration Consequences to Canada is nothing more than being a Canadian citizen living abroad, holding a B.A. in Criminology from a Canadian University, and minimal research. Jonathan does not hold himself out to be Canadian Immigration Counsel and advice should be sought from a licensed Immigration Attorney in Canada. Due to a complicated overlap between Canada and USA criminal justice systems, the path to follow is consultation with a Immigration Attorney in Canada or the Province you seek to enter prior to entry. However, your desire to enter into Canada should not overshadow the handling of the crime here in WA where it is likely you reside. 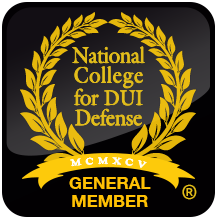 Selecting a DUI focused attorney for your DUI charge here in Northwest Washington should be your first and only concern. If, that attorney has a good working knowledge of Canadian Immigration, as Jonathan does, then that is an attribute that should factor in to your selection. Once again, the selection of your DUI lawyer needs to address ALL of your needs, so take care, take time, and choose the best fit for you.